Leapin’ lizards! 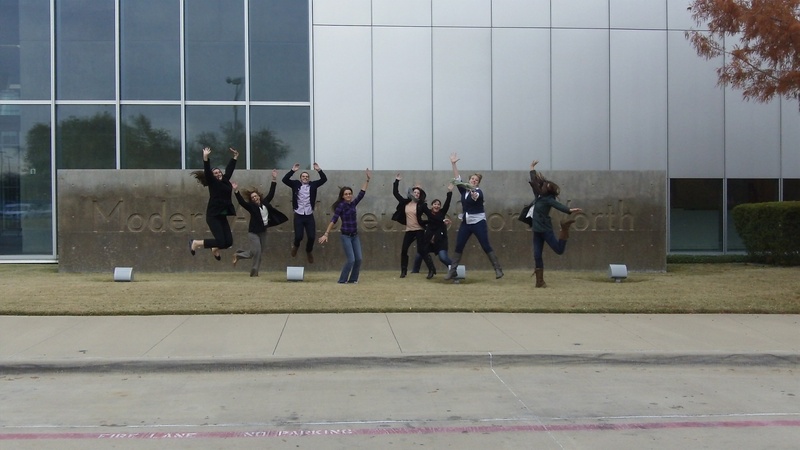 Some of the McDermott Interns celebrated Leap Day by putting a little spring in our step, following the footsteps of past interns and staff inspired by Jumping in Art Museums. You don’t need to wait another four years to join the fun–the next time you stop by the Museum, take your own jumping photos (from a safe distance of course!) and share them on Twitter or Instagram! Reaching for the stars in front of Rufino Tamayo’s El hombre (Man). It was just a hop, skip and a jump to Robert Rauschenberg’s Skyway. Our love for Barbara Hepworth’s Sea Form (Atlantic) grew by leaps and bounds. One small step for man, one giant leap for Mark Di Suvero’s Ave. 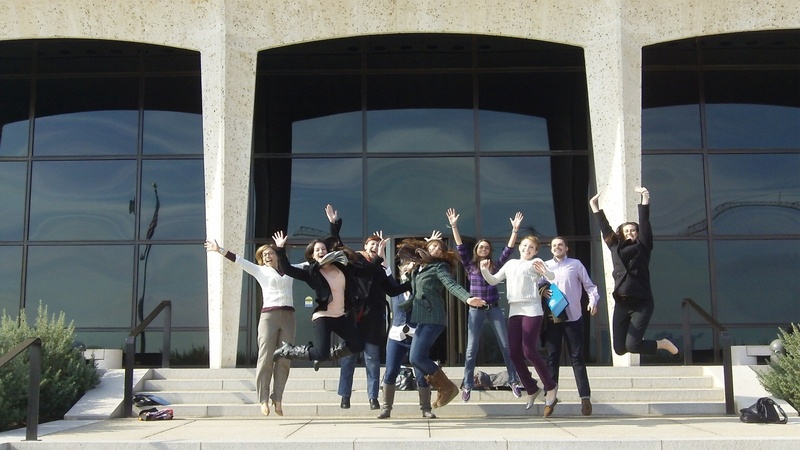 Jumping for joy in front of the Kimbell Art Museum. We came to get down, we came to get down, so come to the Museum and jump around! Amy C. recently discovered the blog Jumping in Art Museums. 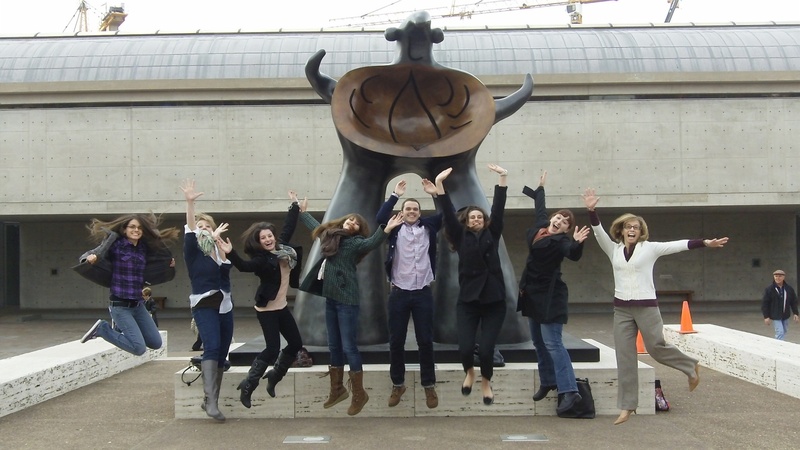 Over the holidays, we spent time in the Center for Creative Connections and in the Sculpture Garden jumping for joy with works of art.